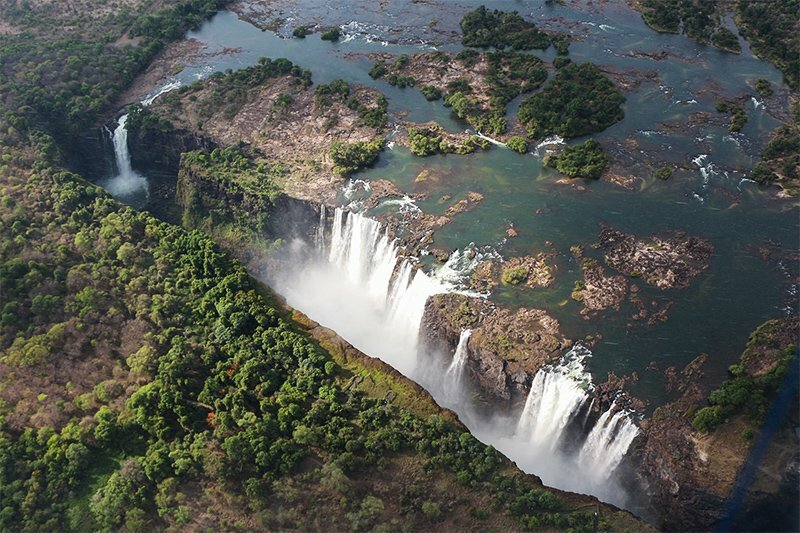 This safari visits two of the most iconic and abundant rivers in the region – The Chobe and The Okavango Delta. You will spend the first half of the safari onboard our houseboat The Pangolin Voyager followed by a stay at the fantastic Bushman Plains Camp deep in The Okavango Delta. This package is designed for a small group of guests (up to eight) wanting to have the houseboat and the camp exclusively to themselves. More and more we have noticed a trend in families and groups of friends with common interests, such as wildlife photography, seeking out an exclusive safari experience where they can have the lodge or camp (or as in this case houseboat) all to themselves. 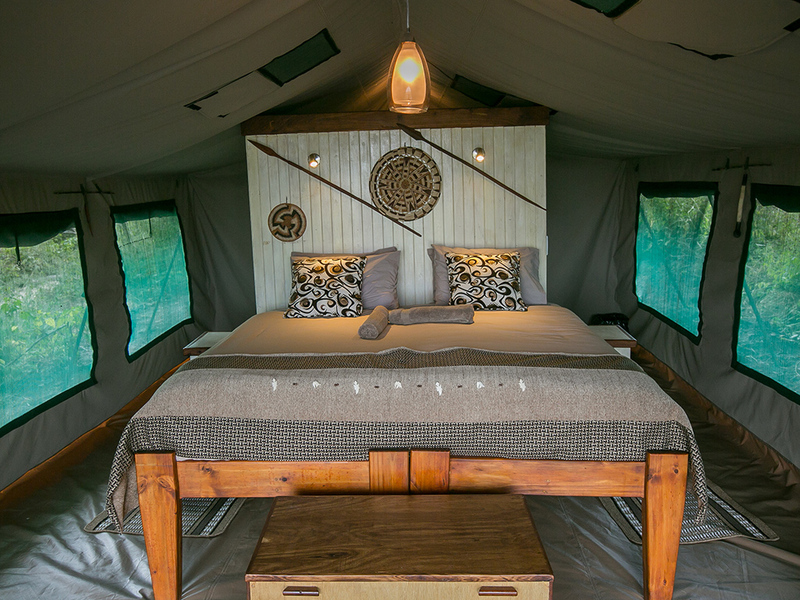 In response to this we have teamed up with Bushman Plains in the Okavango Delta which not only offers the most fantastic and intimate bush experience but also has the same number of tents as we have cabins on the Pangolin Voyager Houseboat. We suggest that to make the most of both destinations then a minimum of three nights needs to be spent in each and is really suitable for groups of four to eight guests with any children ideally aged nine and above. 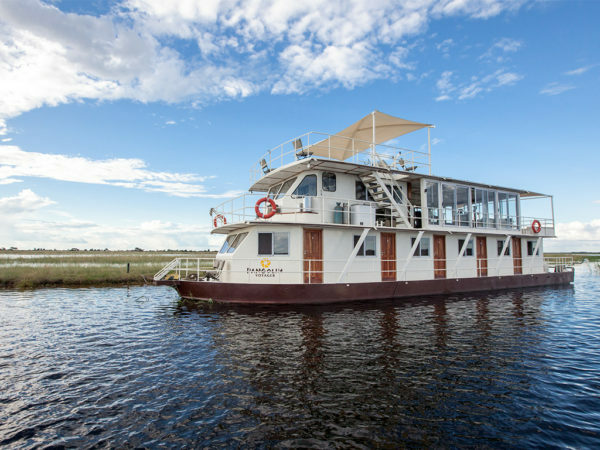 Our floating lodge is moored on the Namibian side of the Chobe river and ranges between The Kasai channel to the East and Serondela in the West. We have three mooring points where you will spend each night. 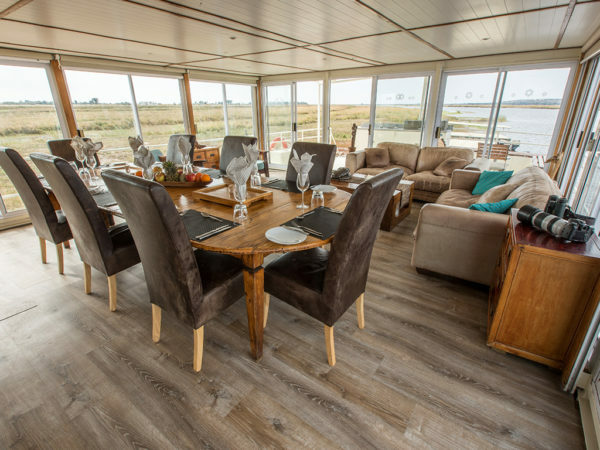 The houseboat has five cabins and can sleep up to ten people, but we normally suggest a maximum of eight. This allows a couple of members of the family or group who might require their own cabin to be accommodated. Alternatively, this allows for the addition of a private photo guide or pilot to also be accommodated onboard too. 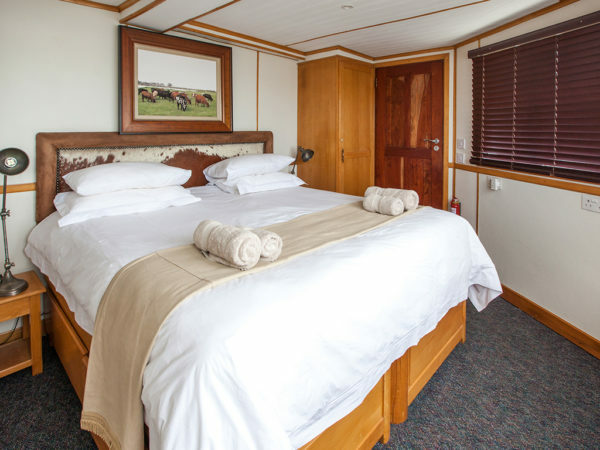 Each of the ensuite and airconditioned cabins can be made up as double or twin beds. During the day you will have access to an eight-seater photographic boat as well as another tender boat for general game viewing. Each of the seats on the photo boat rotates 360 degrees and is fitted with a camera mount which can easily be removed for accompanying non-photographers. When you go out on the photo boat and for how long is entirely up to you. This is your private charter and the schedule of activities is yours to decide upon. The guides will be on hand to head out at a moment’s notice – with a freshly filled cooler box! In addition to photography and game viewing there is seasonal tiger fishing in the Kasai Channel which can be arranged with a local operator at a small additional cost. The beauty of having a private charter is that you will immediately feel at home and should you just want to relax on the sundeck with a good book and a cold drink then that is entirely your prerogative too. The chefs onboard will keep you well fed throughout the day and you will have access to the well-stocked bar either to help yourself or have one of the crew fix you a drink. We can cater for most dietary requirements and if you are celebrating a special occasion a cake and a tray of bubbly can miraculously appear from the galley right on queue if desired! Getting from The Pangolin Voyager to Bushman Plains couldn’t be easier. Once you have entered back onto the Botswana side of The Chobe River it’s a five minute drive to the airport and then a one and a half hour flight to the Kadizora Airstrip in The Delta which services the camp. 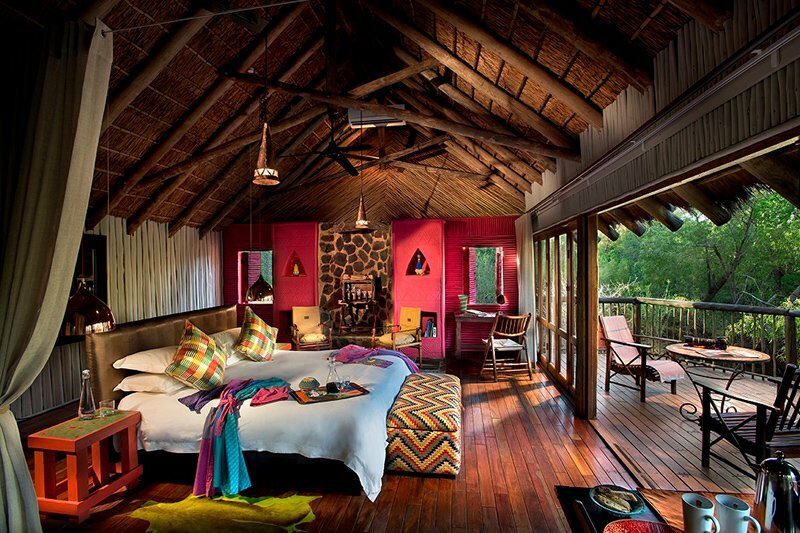 This rustic little camp hidden on the edge of a tree lined island is one of our favourite places in Botswana. Like Pangolin it is owner managed and does away with all the unnecessary frills to concentrate on the wildlife experience that our more discerning clientele really crave. As with the Pangolin Voyager there are five guest tents which mirrors the configuration on the houseboat. There is a central dining area, editing tent and a campfire, of course, to enjoy with your friends and family after dinner under the beautiful Jackalberry trees and ultimately the African night sky. The Bushmen (and women) who own and manage the camp have lived here all their lives and this reflects in the deep understanding of every facet of its ecology. 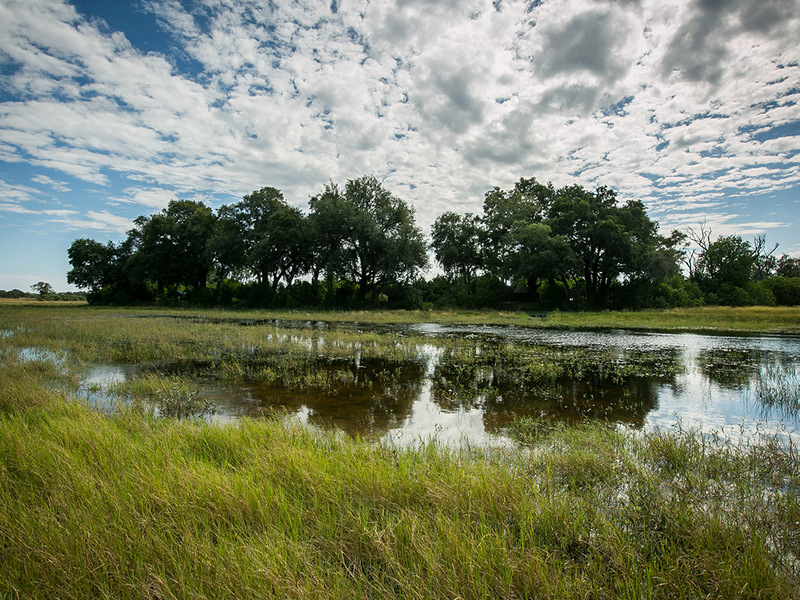 Here people learn about tracking and bush craft as soon as they can walk and this is what makes the wildlife experience so special at Bushman plains. The camp has two game viewers which are yours to use for the duration of your stay. There are two guides onboard each with one driving as the other one follows the tracks from the “jump seat” on the front. This teamwork is hugely productive. The advantage of having two vehicles is that the group has the option of a drive all together (there are nine seats per vehicle) or to split of there are different interests and needs within the group. Again, the camp is yours and you can decide on the schedule. 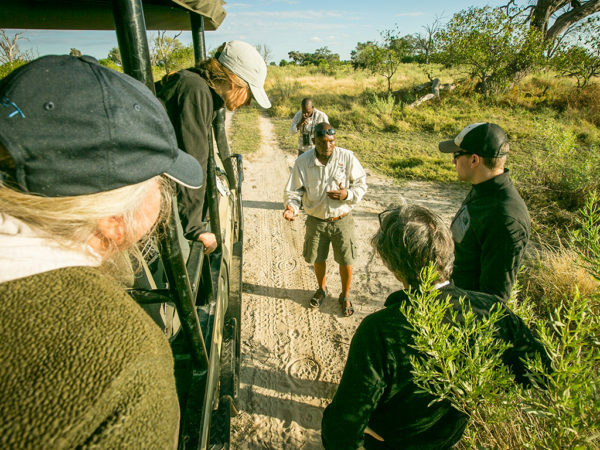 An additional activity not to be missed is the game walk where your Bushman guide will take time to explain the tracks that you come across as well as the uses for the various trees and plants in the local culture. It’s fascinating. 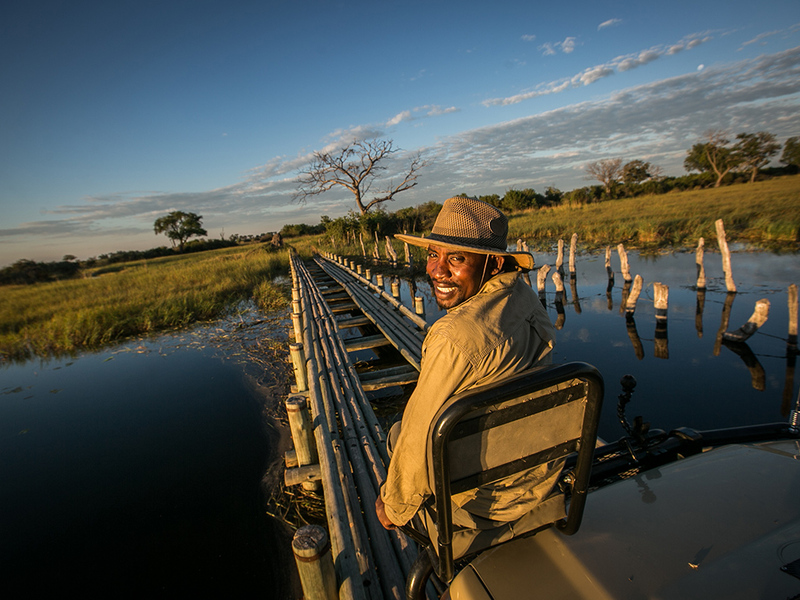 During the floods (usually from May to October) it is possible top experience it is possible to experience that most iconic Delta activity – a Mokoro excursion. This traditional dug-out canoe is punted through the channels by expert “polers” and is a wonderfully serene way to experience the Delta. The food at Bushman Plains is good wholesome fare served in the communal dining tent and once in a while around the fire on your laps in the traditional Bushman way. The well-stocked bar is always open for business (and complimentary) with plenty of chilled alcoholic and non-alcoholic options. If you are interested in any of the below add-ons, chat to your travel planner or mention it in the enquiry form below. 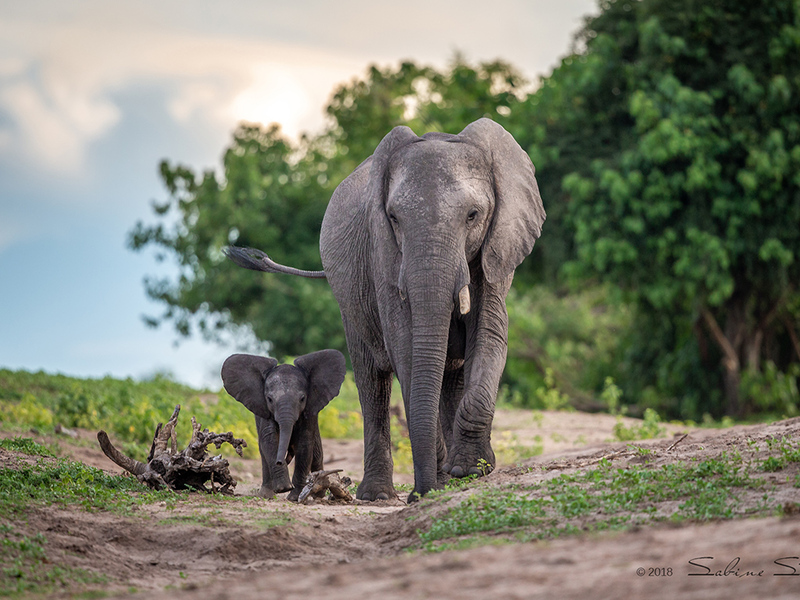 A marvellous way to start or end a Southern Africa photo safari itinerary. A visit to Mosi Oa Tunya – The Smoke that Thunders. We have a selection of hand-picked hotels that we use. 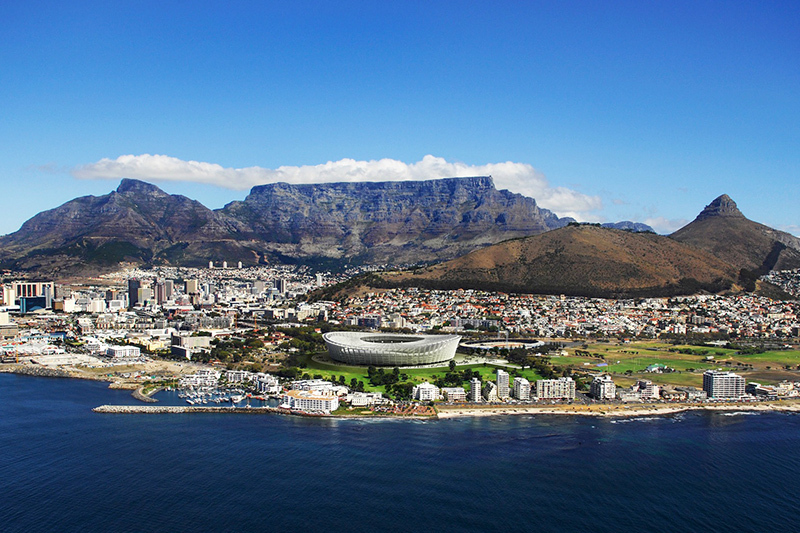 The Mother City and Africa’s most cosmopolitan destination, Cape Town is a wonderful destination at the start or end of a safari. Beautiful scenery, delicious food, Mediterranean climate & photo opportunities galore! 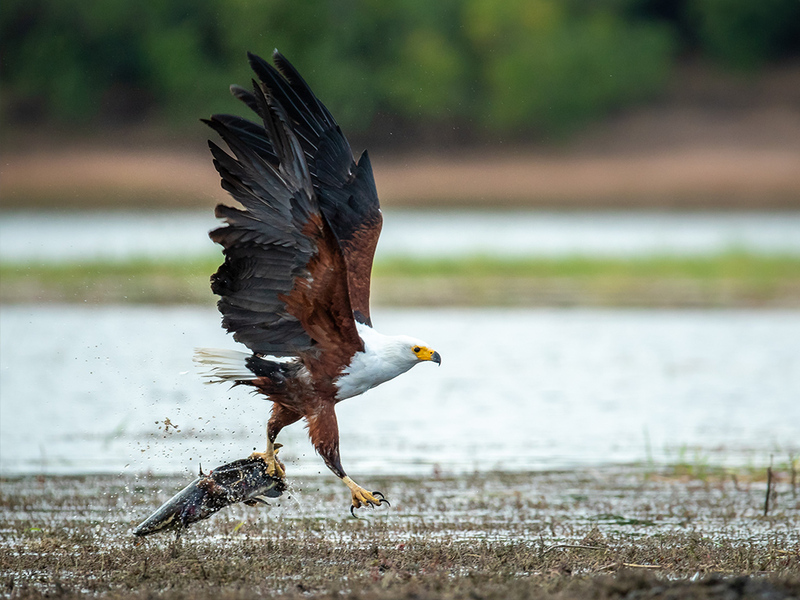 When you are traveling a larger group of say eight photographers we recommend that we charter a plane exclusively for the group to travel between Chobe and the Delta. By doing this it often allows a little extra baggage allowance for extra camera gear along with the normal luggage allowance. Even if the group is smaller in size it’s often an advisable option to book an extra seat on the plane and share the extra baggage allowance of around 15kgs per person to allow for camera gear.